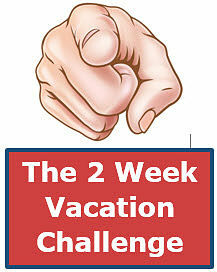 Will you take the Two Week Vacation Challenge? 3) Leave a Comment - tell us where you are going and how it feels to have it on your schedule at last - in the comment form at the very bottom of this page. 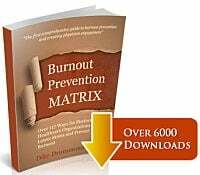 Trapped within the medical education system for 7 – 16 years, this training builds a bullet proof blind spot in our awareness. 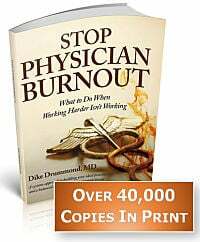 Many people think doctors actually are workaholic, superhero, Lone Ranger, perfectionists when that is not true. We are as different, one to the next, as any other group of people. Often, the only time you can get a glimpse of the doctor under the programming is on day seven of a two week vacation. You have been away from work long enough to let your guard and your programming down. This little window of “the real you” under the “Doctor you” can remind you and your significant other of the person under the white coat. This is one of the rare times your significant other can get a peek of the real you under the white coat. You only feel this way because YOU set YOURSELF up to Struggle. 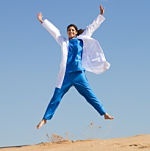 You will schedule a full load of patients on your last day at work and your first day back. You basically see patients until the plane takes off and start seeing them again as soon as you land. It guarantees you will be in complete overload both before and after the vacation. Don't do that! Sheesh. Your partners and patients will be just fine. Everyone will survive your absence. The only way to prove this is to take the vacation and learn for yourself. Follow the steps below to build your own first hand experience of this truth and notice just how little they miss you while you are gone. Bracket your vacation with admin days on both ends. Take a two week and two day vacation. Don’t schedule any patients on your last day before you leave or your first day back. Take care of all the busy work and check out to your partners before you leave. Deal with all the catch up work that piled up in your absence with a full administrative day (or two) before you start seeing scheduled patients again. And for heaven's sake, make sure you are not on call your first day back. You deserve two weeks off. You don’t have to earn it. Go ahead and take a full 16 days for you and your family and see the difference it makes. Even if you did have to earn the respite, you are well past the threshold of deserving your time away from the whirlwind. Go to your local office supply store and buy a year-at-a-glance calendar for this year and next. Stick the two calendars on the wall side by side. Grab your significant other, your favorite beverage and a red dry erase marker. Now, look as far into the future as you need to in order to be comfortable blocking off two full weeks - even better, 15 days ... right? You might be comfortable with a two week block later this year or maybe you have to look out more that 12 or even 18 months. Look out as far as you need to in order to feel comfortable taking that dry erase marker and marking off TWO FULL WEEKS for your vacation. Now take that calendar with the two weeks blocked out in red and hang it in a place you can see every day. Make sure the vacation you plan for this two weeks is super juicy. Make it a Bucket List vacation for sure. What is on your Bucket List? Make sure you don't let your head trash force you to settle for two weeks in the Days Inn down the street catching up on your chart backlog! Make it juicy for you and your significant other -- if you have one. Make it a Bucket List checking event whether it is just you or your whole family. Here is full Bucket List Training. Buy your tickets now if that is at all possible. That’s right, even if your vacation is 18 months away, buy the tickets now. NOTHING on this planet increases the odds a physician will actually take a vacation more than having already put good money down on the tickets. Just sayin’. Give them these instructions: If I don't take that vacation on those dates, please cash the check and donate the money to [insert your least favorite political party here]. Make sure you build and hold healthy boundaries while you are away. If you are sitting on the beach, checking your emails and taking calls from the hospital ... well that is just a crappy "vacation". Actually it is not a vacation at all. That is simply working from the beach. Sooner or later your significant other will grab your laptop and crack you over the head with it and believe me ... you deserve it. You can't recharge on vacation if you are still working. Hit the off switch on your workaholic programming by building and holding boundaries with the tools below. Put some effort into tying up all loose ends and clearing off your desk. There will be a new pile there when you return. Just make sure there are not remnants of the old pile layered underneath. Leave with your desk clean. 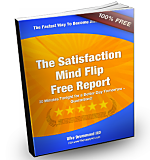 This will help you leave with your conscience clean. b) Do a world class sign out to your partners. Hand off all your ongoing cases with a solid verbal and written transfer of care. Then tell them NOT to call, email or text you while you are out. You will not be answering. 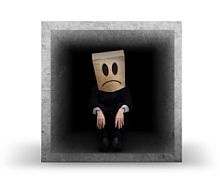 Here is something even more difficult for many physicians – controlling your own behavior. Don’t YOU call the office or hospital. When you are tempted to check in ... breathe and release that impulse. Let the tasks and emails pile up knowing you already set up an admin day on the first day back … right? If anyone calls you from the office while you are out, either don’t answer the call or do not answer their question. If you do happen to pick up, simply remind them who is covering for you and give them that contact information. If you make the mistake of both picking up and answering their questions, what have you just trained this person to do? It is only when you have a solid boundary between work and home, that you can begin to recharge your Energy Accounts. And recharge is never enough. Vacation can be a part of your strategy to prevent physician burnout ... but NOT if all you do is take a break from your practice to crash in a hammock on the beach and read a trashy detective novel. Einstein’s Insanity Definition tells us why this is so. If your practice is such that you are over stressed or even obviously burned out when you take this vacation -- there is only one way to make your time off count for more than just a temporary pause in your downward spiral. And all this takes is an hour or so of your time while you are in that hammock. Here is what this means for a physician. Here you are outside the office or hospital and miles away. From this different level of consciousness it is much easier to see the patterns of what is not working and simple changes you might make to get new and better results. Take a pad of paper or journal and a pen with you. Put just an hour or so into the following four steps. 1) Make a list of the things that are not working in your practice. Just write down a big list. 2) Circle one you would like to improve. Ideally this is something small and simple that will make a positive difference in your day when it is fixed. 3) What is the first step in addressing this issue? 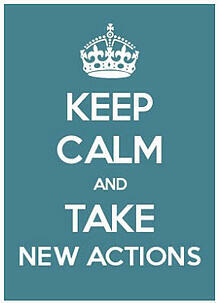 You pry open the jaws of Einstein’s Insanity Trap when you take that action on your return to work. What vacation are you planning?